Back in the 90s just as my interest in fashion was starting to take emerge; I began learning about the cool streetwear brands. One of my favourites was Maharishi, their cool utilitarian vibe and those iconic combats were one of the defining looks of the decade. 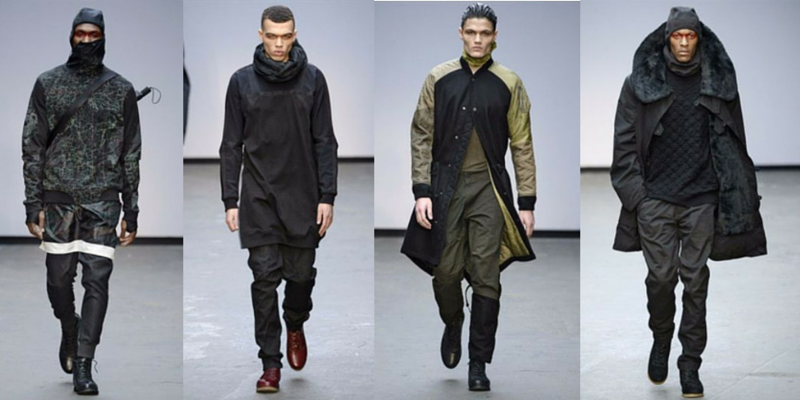 After a short hiatus, I was eagerly anticipating Maharishi’s show during London Collections: Men. The AW15 collection entitled “The path to Stealth and the Five Pointillist Styles of Chi Gung Fu” is a statement on government surveillance, inspiring its fans to go undercover as urban warriors. The collection features Bonsai camo, Chi Gung Fu embroidery, east-meets-west silhouettes and its signature urban aesthetic.